$15Provide a stamp in a child's creation passport. $20Help a child earn a badge at a museum. $60Allow a parent to teach their child the biblical worldview. $100Make it possible for a family to enjoy God's creation. $500Enable a museum to provide a family with hands-on learning. $1,000Ensure a Creation Trail Guide is assigned to a major metro area to give creation tours of secular locations. Together, let's change the way we think about biblical worldview training! We need your help to start the first-ever creation science adventure program backed by the world's largest creation science community. Like you, we believe that every child, everywhere, should have the opportunity to experience God's creation first-hand. That is why we are committed to providing the best faith-based, family adventure program available. WHAT IS THE CREATION TRAIL RANGER PROGRAM? The Creation Trail was born to help families experience God's creation first-hand through the many faith-affirming resources in local communities across America. Rather than an "information dump," we desire to make hands-on learning available across our growing footprint of in-network locations as well as at secular locations, including: aquariums, museums, national parks, and zoos. Our global platform will help equip you to defend your faith and experience creation through the truth of God's Word. Our Goal: to provide educational opportunities and exciting, interactive programs for youth engagement to develop informed and committed youth for Christ. Our Purpose: to raise up each new generation of young people to experience creation, develop strong Christian relationships, be equipped to defend their faith, and to walk in authentic relational Christianity. Faith // The Creation Trail is a Christian-based family adventure program that emphasizes and teachers the biblical worldview through creation apologetics and hands-on learning. Family // The Creation Trail is supported by families at every level. Families participate in the program, connect with one another locally, and invite their church and community to join them in the adventure. Focusing on the family unit gives our participants flexibility, to adapt the program to fit their needs, and join with other like-minded families. While certain parts of the program are mandatory, a large portion of the program can be customized to fit the immediate needs of families and their associated local groups. Adventure // There is something special about hands-on learning, whether it be indoors or outside. Our program brings together the best of both, backed by the world's largest creation science community. This type of adventure helps build deep relationships and provide unique opportunities for leadership, fellowship, and learning. Do you wonder how you can best prepare your kids to face the onslaught of the secular evolutionary spirit of the age? Is it your goal and dream to see your kids stand strong for Jesus into their young adulthood and raise your grandkids to reach their own generation? Whether this something comfortable for you or not, your kids need a big dose of the biblical worldview to accomplish this. The world has long understood the power of science to give them a foundation for their worldview. They have no trouble throwing assumptions and theories at us to support their godless positions. All with "science" as their irresistible authority. At the same time, creation is silently shouting its true Creator’s praise. There is nothing in factual science for Christians to fear. But, is it easy for you to find materials, make time, and be a confident teacher in this vital arena? That’s where The Creation Trail has your back! We make learning about creation rewarding and fun through our global network of biblical worldview learning centers and certified speakers, hands-on learning activities, interactive events, and innovative technology. We can help you teach science in the way that best suits your family—and the best way to teach your kids is while they are having fun! Our aim is to provide young people and families with easy access to tools that help them receive biblical worldview training by utilizing the exhibits at over 300 museums, 120 aquariums, 2,400 zoological parks, and various National Parks — wherever they are located. Combined with engaging events, a great discount program for the entire family, and community support, along with long-term assistance for college education and job placement, The Creation Trail is changing the way you think about creation science education. The Creation Trail Ranger Program is a fun way for your kids to learn about science from the biblical worldview. They will be begging to learn more about God and His creation. The Creation Trail helps families make science easy to teach, isn’t intimidating, and can fit into your schedule whether you have lots of time or just a little. We are here to help you with engaging resources, interactive events, and personalized educational instruction. Our goal is to have Creation Trail Guides in every local church. You can help us equip hundreds of guides to become certified Biblical Creation Ministry Professionals. Will your church group fund The Creation Trail Guide for your local area? Through our network of Creation Trail Guides, we will be able to build specific biblical worldview training programs tailored to each museum location. For $1,000 you can fund the program for a major museum in your city, this will cover the costs of going to the museum and recording a tour that can then be linked as an MP3 to give you a creation tour as your visit the secular location. Through our innovative technology, youth and families will be escorted (via MP3 and video on their mobile devices) through museums by scholars and students as they view geology exhibits, astronomy displays and more. The Creation Trail also allows families to request a certified in-person tour guide. We expect thousands of Christian kids to visit the Smithsonian Museums, the San Diego Zoo, the Georgia Aquarium, Busch Gardens, Disney's Animal Kingdom, SeaWorld, and hundreds of other locations across America this year alone. If we hit our goal we will be able to print our Rewards Cards, Museum Passports, Ranger Notebooks, and Creation Trail Badges. We will also be able to begin to raise up more Creation Trail Guides in local communities across America. Every Rewards Card (whether Museum Loyalty or Event Attendance) will come ready to use at our in-network locations with one pre-punched segment for simply signing up! Each Museum Passport will have room for you to collect a unique stamp as you visit each one of our in-network locations across the United States. Ranger Booklets will be where you can record objectives completed and points earned in the notes section, along with including photographs and other memories in your personalized Ranger Booklet. You will also be able to place your sticky badge in the predesignated space upon completion of your chosen learning objective. Initially, we will begin The Creation Trail Ranger Program with one badge (having to do with the basics of creation science), with the goal of having over thirty badges to choose from (including topics from aquatic ecosystems to zoology). Reaching our stretch goals will help us to provide an even higher quality experience to our Creation Trail Rangers. $3,000 | We've met our goal and will now print our Rewards Cards, Museum Passports, Ranger Notebooks, and Creation Trail Badges. $4,000 | Each in-network museum location will have a customized stamp for you to collect in your Museum Passport. -All-Access Parent Pass: including The Creation Trail Blog, The Creation Trail Podcast, exclusive video clips and interviews, The Creation Trail Newsletter, and more! -The Creation Education Box: includes family devotions, stories from the trail, monthly animal highlights, scripture memory verses, hands-on activities, insider tips for parents, and more! -The Mission Moment Box: includes family devotions, a missionary prayer card, a country profile, scripture memory verses, and more! -The Creation Trail Party Box: for your child's birthday [first-time subscribers only], including fun recipes, special decorating tips, fun crafts, and exciting activities, a special book for the birthday boy/girl, and Museum Loyalty Rewards Cards for your party guests. 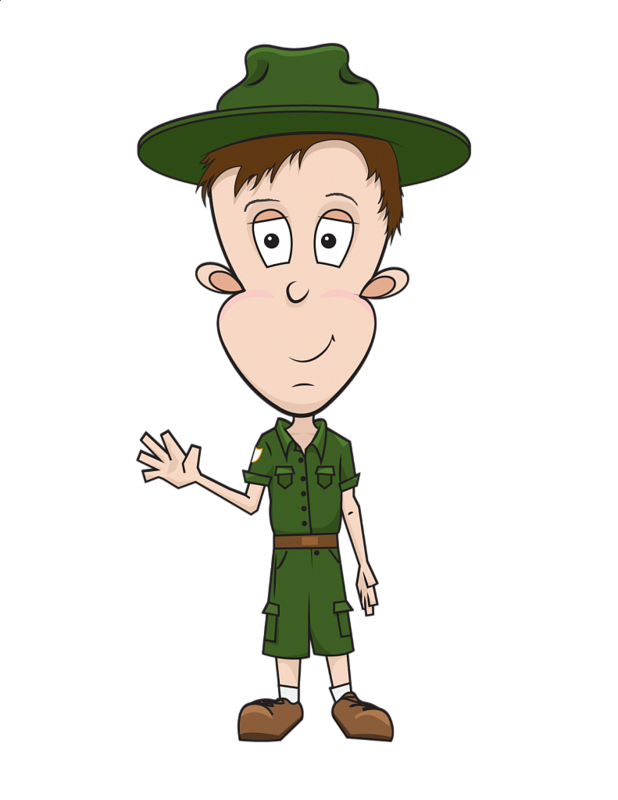 -Ranger Rob's Creation Adventure Book: join Ranger Rob on his adventure, as you create your own adventure on The Creation Trail! -Ranger Rob Plush Toy: let your child bring Ranger Rob with them on their own adventure. -The Creation Trail Board Game: a board game that honors God as you learn creation. $15,000 | We will begin raising up Creation Trail Guides in cities across America to provide creation tours at secular aquariums, natural history museums, and zoological parks; in addition to making self-guided creation tours available. $25,000 | We will be able to begin building The Creation Trail Online so that 98% of Americans will be able to participate in our interactive learning program wherever they are located* (*internet access required). $30,000 | We will be able to begin expanding Creation Classroom to hundreds of Christian schools and homeschool groups with the lesson plans, tactile resources, and visual aids that educators need to teach creation and point people to Jesus in the classroom and beyond. $40,000 | We will be able to resource thousands of local churches through Creation Fellowship, giving leaders access to free resources to engage their congregation or class with the biblical worldview through exciting visuals, hands-on learning experiences, interactive events, and more. WATCH: "A Brief History of Kickstarter" and/or The Creation Trail Kickstarter Video. READ: Jamey Stegmaier's "The 10 Reasons Why I'll Back A Kickstarter Project." Let Jamey know in the comments the #1 reason you would consider backing a project. SUPPORT: Donate $15 or more to The Creation Trail Ranger Program. CRAFT: Make a poster about our campaign and present it to your friends at church. Post a photo of your work on any social media account. RESEARCH: Find a person or group who does not know about The Creation Trail and tell them about us & how they can help us launch. FUND: When The Creation Trail successfully funds, add an extra badge to your Ranger Trail Notebok. Well done team! We are The Creation Trail. We deliver hands-on learning from the biblical worldview, designed to provide exciting, interactive experiences for today’s Christian youth. Because we believe that informed and committed youth for Christ are essential for authentic relational Christianity to flourish, we invite your family to join us on The Creation Trail. 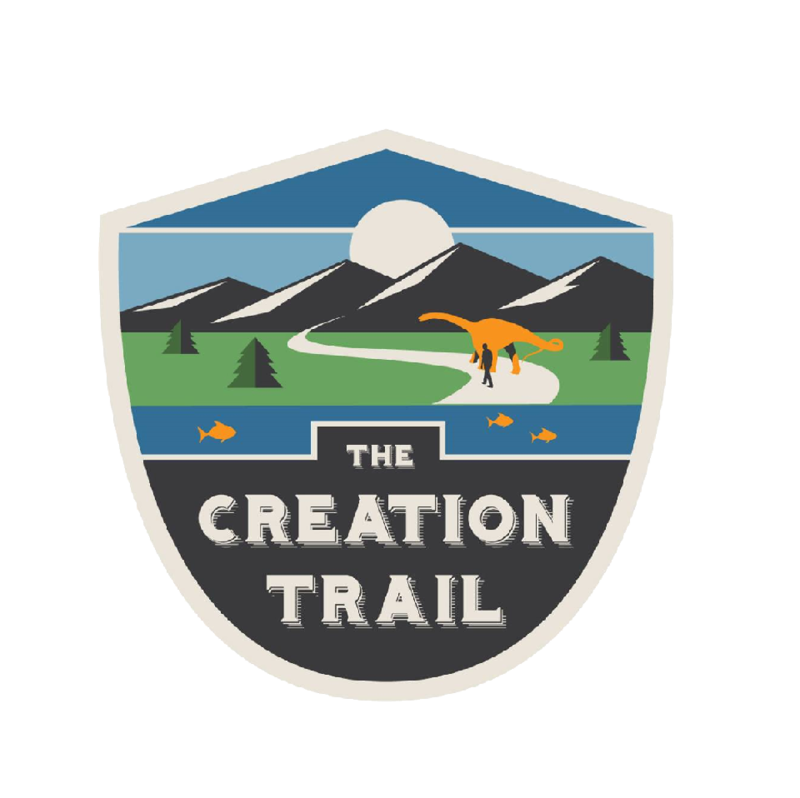 The Creation Trail is a cooperative effort between museums, zoos, and learning locations across the United States of America and around the globe that provide biblical worldview training, creation science research, faith-affirming community outreach, and hands-on learning. The Creation Trail is administered by The International Association for Creation. So our family was looking for a way to be involved in a creation-based adventure program. To our surprise, there were no comprehensive programs that gave us access to trusted guides, special events, and fun learning activities to help us explore God's creation first-hand. Which our family thought really surprising, being there are so many scouting programs to choose from. Children today simply don't have the same understanding of God as Creator and Savior that was once found in those who studied the created world. And we thought something should be done about it. So we decided to help by providing a program that provides parents the tools they need to raise up each new generation of young people to experience creation, develop strong Christian relationships, be equipped to defend the faith and to walk in authentic relational Christianity. We have brought together top talent from across the nation to provide you and your family with the highest quality experiences in your hometown and as you travel. If we are competing for our youth, it must be with a message that can change their lives forever. Through The Creation Trail, your children will learn about who they were created to be and the processes that God put in place to bring us to this point in history- their spot in His story. The truth is, that God's plan is the only one that matters, throughout all time and history. The activities we have chosen for this program truly take children and adults on a journey to discover three things: God's original plan in the Garden, God's faithfulness throughout history, and what God has done for us on the cross. That's the mission of The Creation Trail, to point people to Jesus. We here at The Creation Trail are dedicated to helping you provide educational opportunities and exciting, interactive programs for youth engagement to develop informed and committed youth for Christ. We are working with multiple manufacturers to produce our Rewards Cards, Museum Passports, Ranger Booklets, and Creation Trail Badges. There is always the possibility of time delays or poor production quality when working with manufacturers. However, we have thoroughly researched all of our manufacturing options. We will have our materials printed by A Graphic Resource. A Graphic is a longtime partner of our ministry, and should any problems arrive, we can address them in a timely manner. We have ordered product previously from A Graphic, and thus feel comfortable saying that they produce quality materials. If you should have any questions, please visit our Donor Relations FAQ Section, or call to talk with one of our Stewardship Specialists: 407-512-0638. For additional details on donor relations and stewardship at The International Association for Creation, please visit http://give.associationforcreation.org. The International Association for Creation is a 501(c)3 nonprofit organization. Federal Tax ID #: 81-3896085. No goods or services were received in consideration of this gift. Your personal details collected herein will not be shared or sold to any third-party. For more details on our donor protection policy, please visit us at http://give.associationforcreation.org. Thank you!